Click here to check all our posts as Butlins Ambassadors! We love good food, so in our opinion, the best part of staying in a hotel, apart from the comfortable bed with clean sheets, is the delicious food. There is nothing like waking up to full English Breakfast! 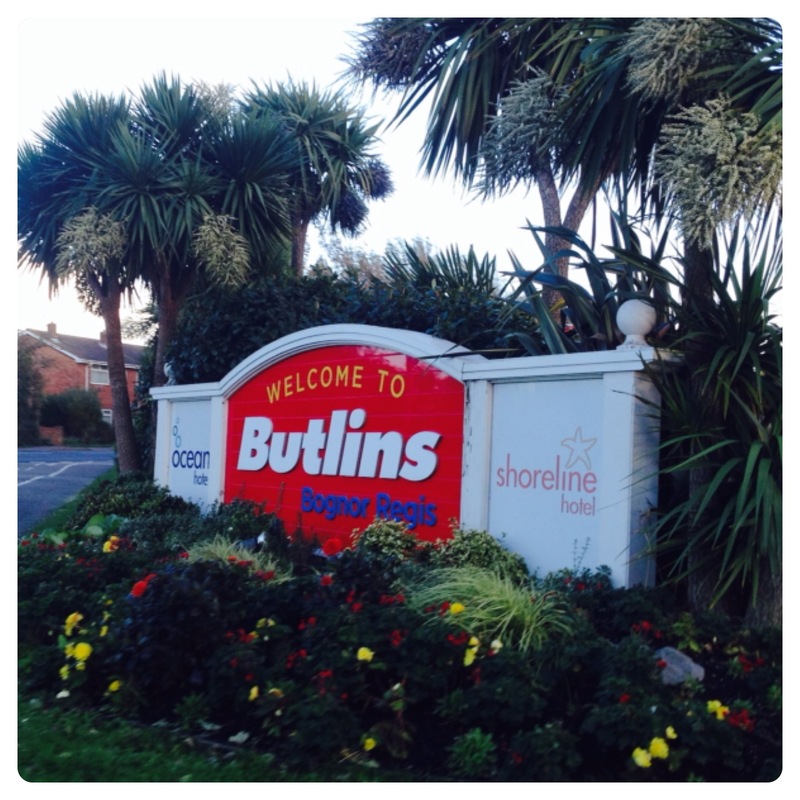 As you are aware we are Butlins Ambassadors 2013/2014, we have recently stayed at the gorgeous Butlins Bognor Regis: Shoreline Hotel, we loved the beautifully decorated spacious room with seaside view. The whole family enjoyed themselves with the entertainment at Butlins. We had Hotel Dining as part of our package, which included Bed, Breakfast and Dinner, breakfast our hotel and dinner at our restaurant of choice. At Breakfast time, we went down to the South Coast Restaurant at Shoreline Hotel, for a full range of continental and English breakfast. 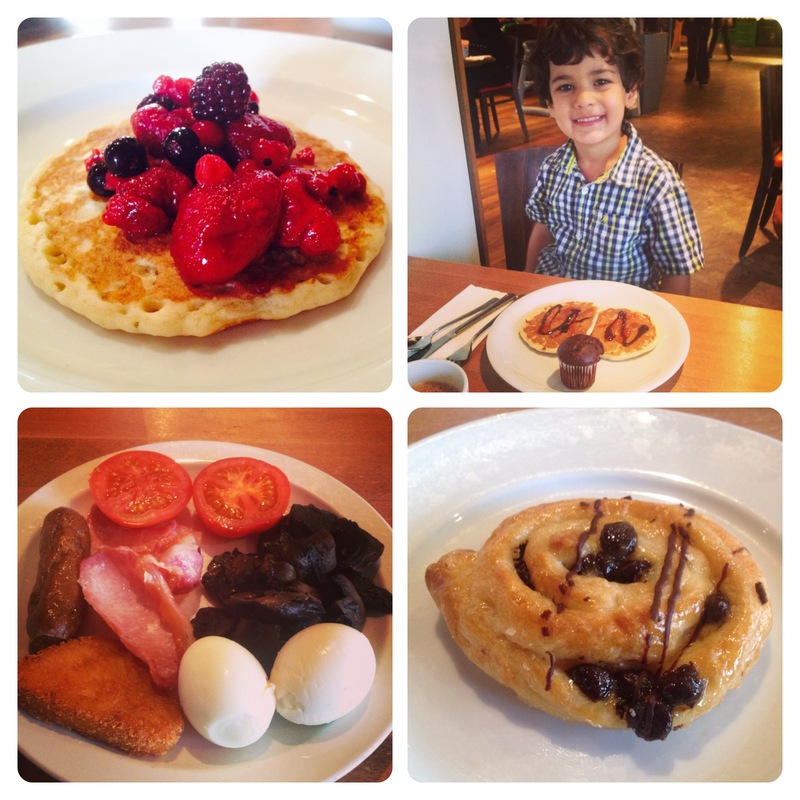 There was something for everyone, full English breakfast buffet, pancakes, pastries, cereals, fresh fruit and yogurts. There was also a selection of hot drinks and juices available. We had a cooked breakfast followed by pancake or pastry. After all, we needed energy for the busy day ahead. 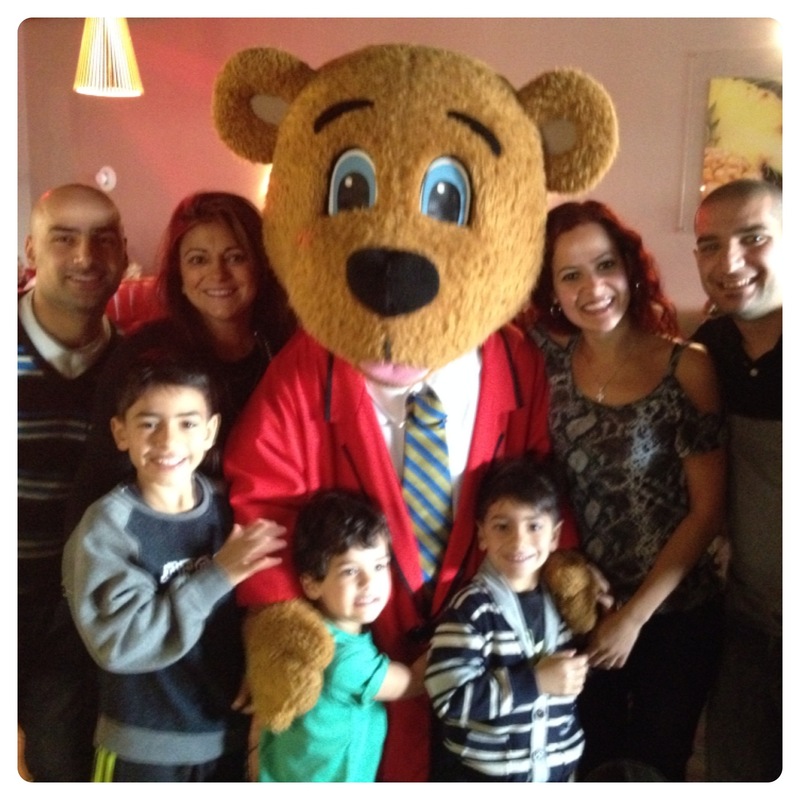 As we were staying at the Shoreline Hotel, we had Character Breakfast included in our stay, one morning we joined Billy and Bonnie Bear for an exclusive breakfast. The little ones loved taking pictures with their favourite characters, and enjoyed dancing with Billy and Bonnie after breakfast. Character Breakfast made our stay very special, the boys kept talking about it and the big smile on their faces was priceless. On the first day of our holiday, the restaurant in our hotel was fully booked, so we had dinner at The Deck. As part of our dining plan, we could choose to have dinner at our hotel or any restaurant on the resort, including Turner’s, The Deck, Papa John’s and The Beachcomber Inn. 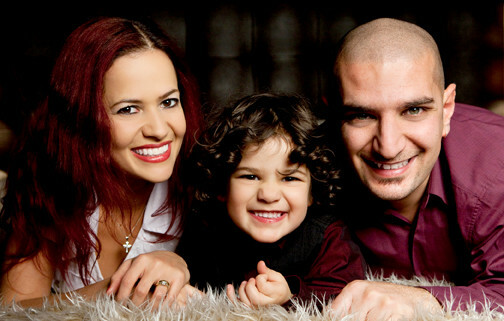 I would recommend to book dinner at the reception as soon as you check in the hotel to avoid any disappointments. We had a lovely meal at The Deck. There is a flame grill where you can cook your chicken or burger, and a fresh pasta station where you can choose your pasta and sauce to be cooked as you wait. 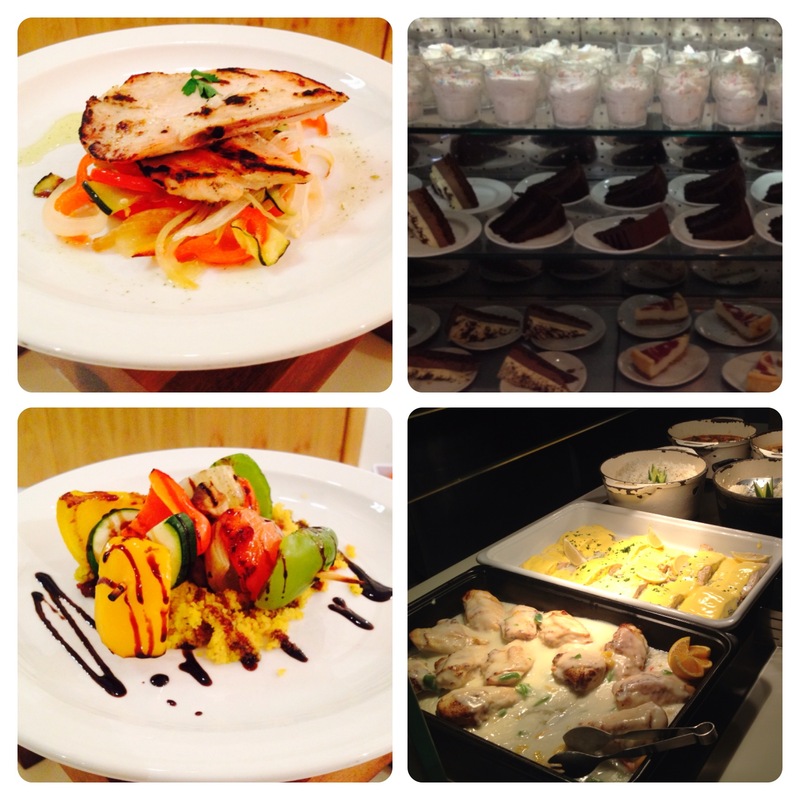 There is a wide variety of dishes on the buffet, the meal was tasty and full of flavour. 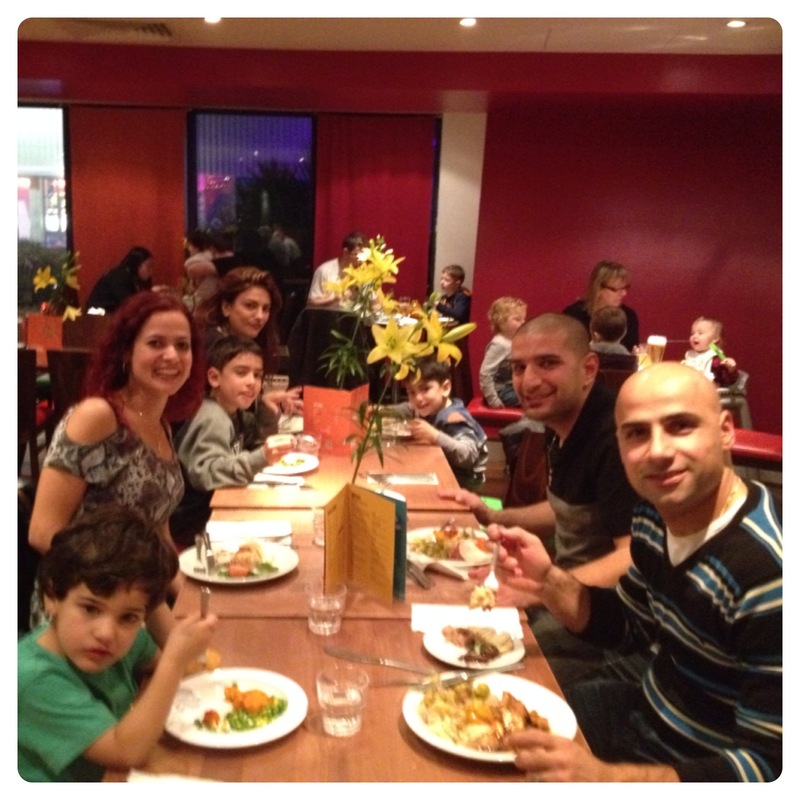 On the following evenings, we enjoyed our dinner at the South Coast Restaurant at Shoreline Hotel. 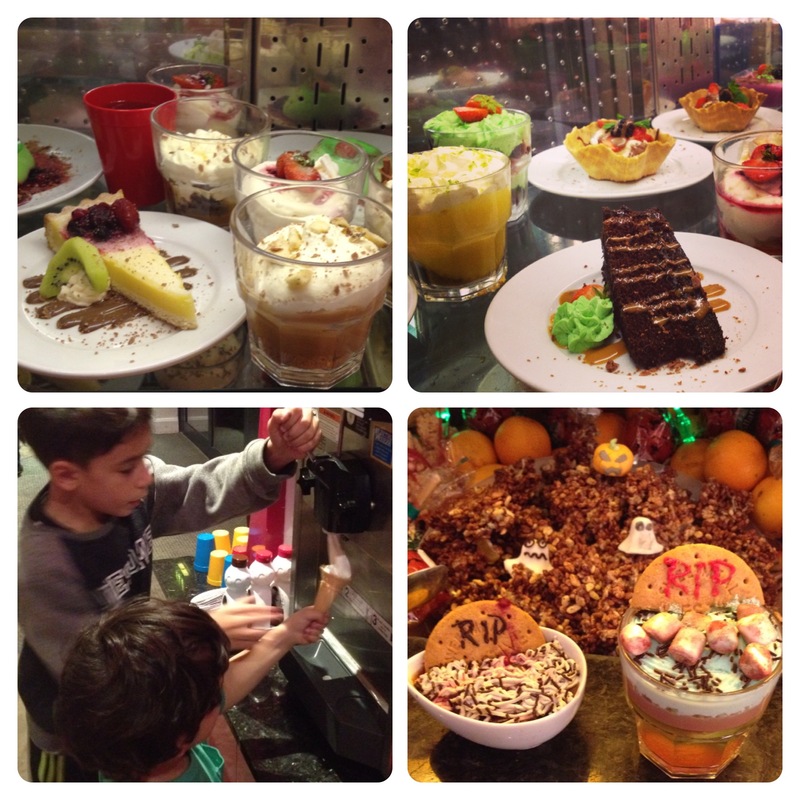 The served buffet had daily dishes for adults and there is also a child’s counter with plenty options for little ones. The beautifully plated starters were as tasty as they looked, the daily soup was delicious and the choices on the menu complemented each other. There was a different roast each evening, with gravy, vegetables, pasta cooked to order, curries, etc. We were planning on visiting other restaurants, but after trying the flavoursome dishes at the South Coast Restaurant, we decided to have our meal there for the rest of our stay. The dessert counter had a large selection of sweet treats, which was enjoyed by everyone. Billy Bear’s Ice Cream Factory was a success, soft ice cream topped with sauce and sprinkles. We stayed at Butlins during Halloween, we were delighted with the spooky range of desserts on Halloween night. 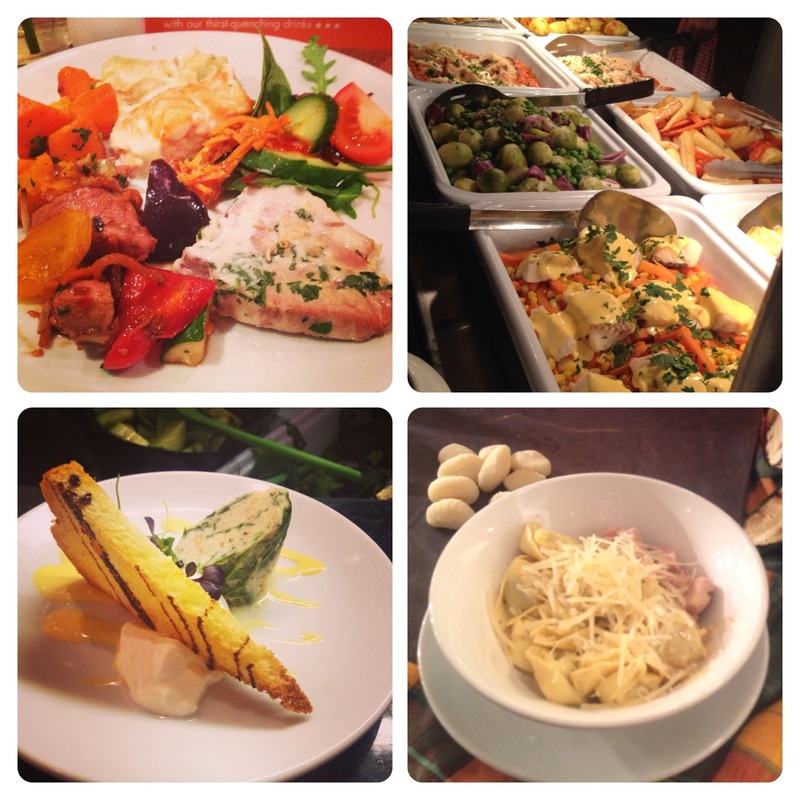 Overall, we were more than impressed with the food quality and variety at Butlins. The premium dining plan gives you the flexibility of choosing where you would like to have dinner, which is perfect for those that want to try the other restaurants during their stay. The food was beautifully presented, tasty and full of flavour. We can’t wait to try it again! I am a Butlins Ambassador, we stayed at Butlins for review purposes, however all opinions expressed in this post are honest and our own. 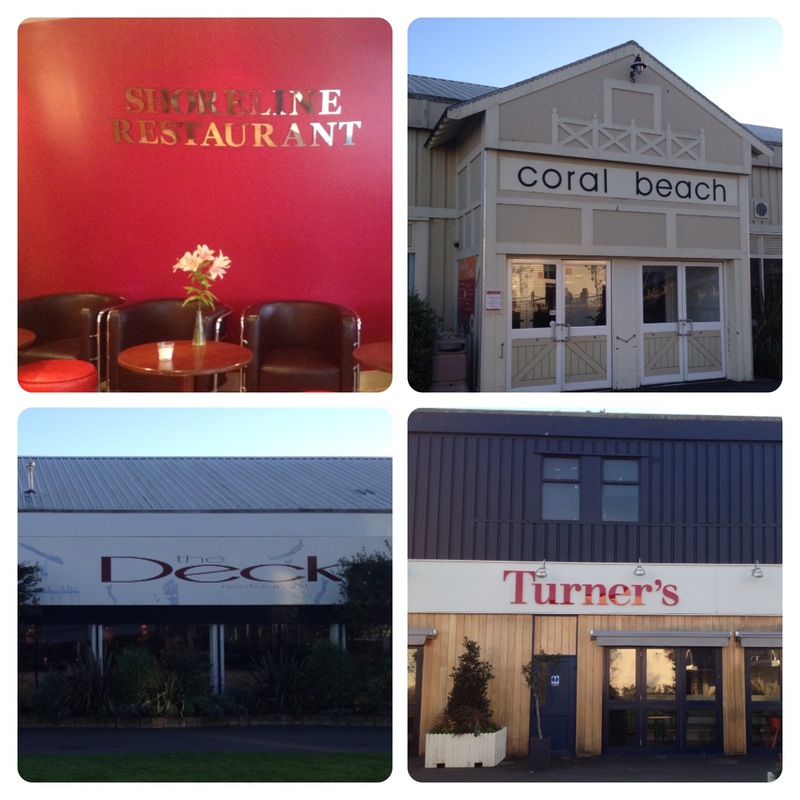 12 Responses to "Family Holiday at Butlins Bognor Regis: Hotel Dining #ButlinsAmbassadors"
All the restaurants you visited look lovely. Wonder what the others were like? Do you get a free drink with the premium hotel dining option? Thanks in advance if you answer.